OHFA is the non-profit whose support allows fantastic and popular educational programs such as Becoming an Outdoors-Woman, Youth Shooting Leagues, and Alaska Conservation Camp to be offered throughout Alaska. * Shawna A. of Chugiak - Congratulations Shawna and good luck! * Andrew B. of Wasilla won the Benelli Supernova 12 ga. 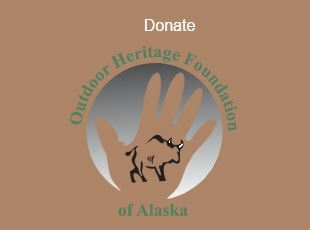 The Outdoor Heritage Foundation of Alaska (OHFA) promotes the conservation and wise use of Alaska's natural resources through broad-based education initiatives designed to provide Alaskans, both young and old, the skills and knowledge to enjoy the outdoors in a safe, responsible manner. We invite you to "come on in... look around". As the official foundation of the Alaska Department of Fish & Game, we offer an array of support services and educational programs for you, your family, and all Alaskans. Copyright © 2016 Outdoor Heritage Foundation of Alaska. All rights reserved.